We are proud to announce that once again our July 5K Race has been chosen to be part of the Sussex Grand Prix Series. 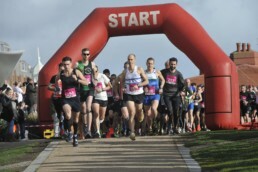 You can sign up to all our Bexhill 5K Races May, June and July by clicking the Enter Now button below. 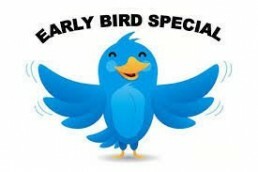 "ENTER BEFORE END OF FEBRUARY AND RECEIVE 25% DISCOUNT"
Full write up and race report to follow. Thank you for entering the 5k, 10k or 1⁄2 marathon on Nov 10th 2018 and supporting our Charity and also a big thank you helping build a great sports event in our local town of Bexhill. Timings for the day are below, each race will aim to start prompt so please ensure you are registered and near the start line! Please note races are for runners only, the courses are laps based on the promenade and unfortunately due to the numbers of runners and course format not suitable for wheelchairs, buggies or runners with dogs. Registration opens in the De La Warr main hall – For all runners, collect race numbers, timing chips and any ordered T-Shirts or bobble hats etc. You are not required to bring anything to registration, just know your surname! 12-12:15pm – Kids 1 mile Youth Run & 500m fun run. Registration will be required for the Youth Mile, but No registration needed for 500m just turn up. All Kids will receive a finisher’s medal in both the 500m Fun and competitive 1 mile. PLEASE NOTE REGISTRATION WILL CLOSE AT 12:15pm prompt for the Half marathon. Ensure you arrive in good time, the team are needed for the pre-race build up from 12:15pm. There is plenty of parking around Bexhill town and seafront, and it is free. There is a limited amount of parking in the De La Warr car park which is fee paying. We would advise parking around the town and seafront and walking the short distance to the De La Warr Pavilion. There are toilets inside De La Warr Pavilion and also a bank of porta-loo toilets outside around the race start. 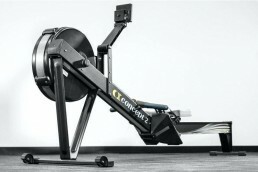 5km – 1 x out & back route. Half Marathon – 2 x 8km laps followed by a final lap of the 5km course. 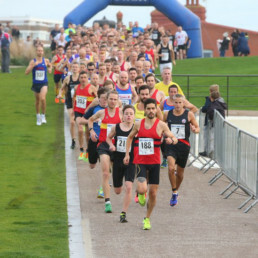 All 3 races are held on the promenade, with a small section on South Cliff Road. Some sections will have runners heading in both directions so do make sure you keep to the LEFT throughout the run. The half marathon is also 3 laps so lead runners will catch the slower runners, again please keep to the left and be aware. We would request you don’t use MP3 players during the run, as it stops you hearing marshals and instructions on the course. The courses are laps based on the promenade and not suitable for wheelchairs, buggies or dogs etc. 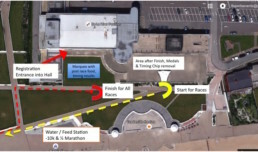 There will be a Water/Feed station on the promenade by De La Warr. (see map). This year we are supplying 330ml sports cap water bottles at the main water station, please carry with you to stay hydrated. Marshals along the course will have bins and will keep plastic separate to recycle after race day. 5k – runners, no water station – please carry water if you feel you will require it. Half Marathon – pass the Water Station at 5km / 8km / 13km / 16km. Please carry any additional water /fuel if you need a different race nutrition strategy. Post-race snacks and drinks will be available after your race in the Marquee outside DLWP. Plus the DLWP café will be open all day for athletes and spectators. your hand, wrist etc. Chips are handed back in after you cross the finish line. Your official race finish time ticket will be available from the timing desk in the Marquee with the post-race snacks. New for 2018, the race is planning to provide a specific tent for the Bergen runners, as well as a ‘weighin’ on the outside stage for the Bergen packs proceeding the start of the Half Marathon. Please listen out for announcements on race morning. New for 2018, and we are also planning a specific tent for the Team Runners to include your bag drop to enable you to change clothing between races if required. Pacers will be in the race for 1hrs 45 mins every 5 mins through to 2hrs 15 mins. Pacers will be wearing yellow Bibs with their guide time displayed on the back, keep an eye out for them! Wealden Medical will be providing medical cover for race day, if you have any issues requiring medical assistance notify the nearest race marshal. Please ensure you are fit and healthy before starting your race, and you are fully aware of the physical exertion you are about to attempt! 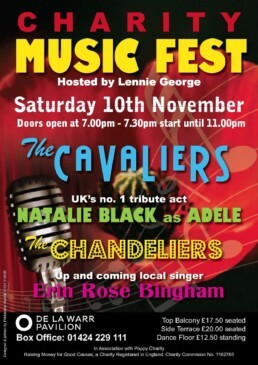 We look forward to see you on Saturday 10th November! Just letting everyone know full Race Information will be up on the Website and emailed out to all entrants early in the week beginning 5th November, 2018. Firstly can I say a big thank you to everyone who has entered, your support has been overwhelming. For those of you still undecided time is running out, the race is nearly full, less than 100 places left so looks like we will be closing the entries over this coming weekend. So make sure of your place and enter now. Some interesting statistics for you … the average age of entrants over the 3 distances is 43, the oldest 84 and the youngest 13!! We have an international flavour with entries coming from as far afield as Australia and USA!! Race information will be up on the website next week. We email direct the athletes who have entered. A reminder to you all that Race Numbers, Timing Chips, T-shirts etc are collected on the day at registration. Keep your SHOUT OUTS coming, let us have your stories, anything you would like to have a shout out about on the day, special occasion, reason for running anything like that and we will be happy to give it a mention. We are calling out to all those able and willing to Marshal at this year’s Race, whether you can be there for a couple of hours or the whole day, just let us know! and we will find a job for you. All the jobs are in and around the De La Warr Pavilion itself. So if any of you have friends or relatives travelling with you who won’t mind lending a hand, let us know. JUST 17 Days to go …. 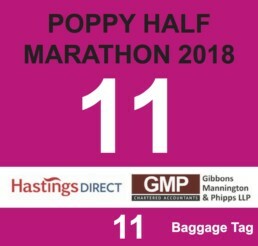 2018 Poppy Half Marathon will then be upon us. A BIG THANK YOU as by entering our POPPY race you have already supported our Charity. We established the Charity 3 years ago and 100% of money raised through entry fees, donations, merchandise sales etc goes to the Charity, which in turn supports local and Military Charitable organisations. 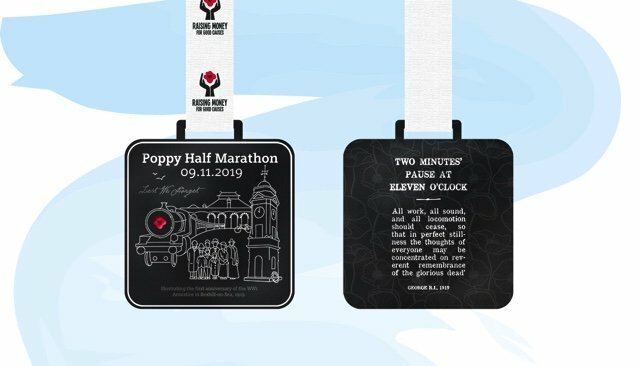 The organiser of the Poppy Half and Bexhill 5K Race Series is Raising Money for Good Causes (RMFGC) a locally based Charity. For those that may wish to support us further our Justgiving. Any little helps. Just a bit of trivia for this week!! The overall male/female split for race entries currently stands at 53% Men 47% Women…. 10K you girls come into your own 57% women and 43% men. 5K even better girls with 66.5% women and 33.5% men.. CALLING ALL MARSHALS….. as always with events Marshals are key. The race simply can’t go ahead without you, so we are putting a call out to everyone who might like to help on the day. Its a great event and for an even greater cause, so anyone able and willing to give their time on 10th November, please email us your details, and receive TWO FREE TICKETS TO OUR CHARITY MUSIC SHOW – on 10th November at the De La Warr Pavilion. 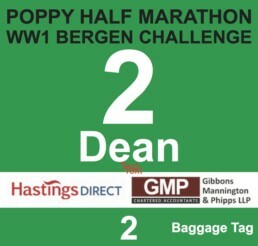 The order has gone in for the limited edition Poppy Half Marathon t-shirts. For all those who purchased you will not be disappointed, alongside the limited edition medal they are great mementos of the day. Our WW1 Bergen 22KG Challenge Team runners are Dean Baker, Lee Holdaway (Race Director), Paul Atkinson, father and son Mark Jordan and Tom Jordan, Anthony Pitt and Kate Mitchell. Good luck with your last few days of training guys and we look forward to welcoming you on the start line. If you have a chance on race day, lift the Bergen on your shoulders, you will appreciate how heavy it is. Please give them lots of support on race day. 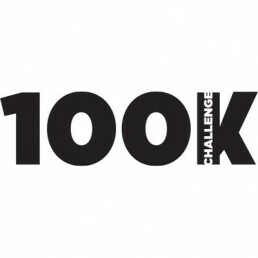 Likewise we have finalised the numbers for our 100K Team Challenge and we have 10 teams of 3, all completing all three distances!! We look forward also to welcoming these guys too at the start line. We now have our pacers in place for the Half Marathon. Big thank you to those who have volunteered. We have pacers for 1:45, 1:50, 2:00, 2:05 and 2:10. So look out for these guys at the start of the race they will be wearing the Pacer Shirts shown above. All race information will be up on the web site by the beginning of next week. This will also be emailed out to all those who have entered, so keep an eye out for that. We need your support to fill these seats please, so a reminder of our Charity Music Fest to be held on the evening of the Poppy Half Marathon. Tickets are selling fast so to not be disappointed book your tickets now from the De La Warr Pavilion box office. Ticket prices range from £12.50, £17.50 and £20.00. You have the dance floor tickets to boogey the night away and seated tickets on the side terrace and balcony. Keep up the good training, this week’s training is up on our Charity FB page, not much more to be done except stay injury free and keep those legs ticking over. MASSIVE SHOUT OUT TO OUR SPONSORS – THEY HAVE BEEN SO SUPPORTIVE.